Watch 10 minutes of attempting to fight off evil with two fists, and falling down a lot. 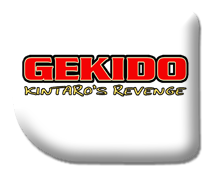 This 10 minute gameplay Dive In looks at Gekido: Kintaro's Revenge, a port of the original Gameboy Advance title landing on the Nintendo Switch 22nd March. With a few extra gameplay modes, some graphic/filter options to tweak and local co-op available using split joy-con, 16 years long enough to wait before reliving this classic.